Emporio Armani celebrates the 2017 Chinese New Year of Rooster by introducing a collection created specially for this occasion. 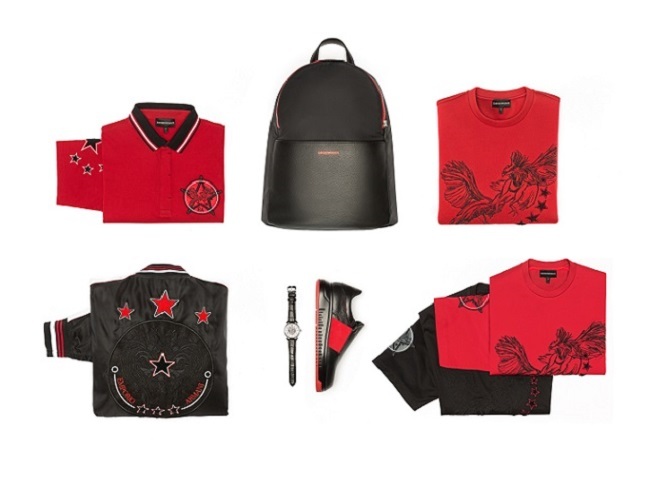 T-shirts, polo shirts, sweatshirts and bomber jackets feature rooster-inspired prints on a mainly red palette, the colour of prosperity, paired with black for men and white for women. Matching shoes and accessories complete the collection, which will be available online and at selected stores.